Do you remember the classic movie Wizard Of Oz with Judy Garland as Dorothy? There was another character in the movie. He was played by Bert Lahr. This character was the Cowardly Lion. The Cowardly Lion was scared of everything. Something goes BUMP! and he would jump. He was a true ‘fraidy cat. He’d failed to build courage in his life. You don’t want to be like the Cowardly Lion, do you? Instead, I bet you want to have courage. Lots of courage. Courage to stand up for what is right. Courage to choose to be fair and just. And courage to live out your faith. Courage doesn’t come easily. Courage requires hard work. But you can do it. You can build courage. Building courage is an ongoing process. You’ll never truly be there but you can have more courage today than you did yesterday. You’ll have to work at building courage and I have faith you can. 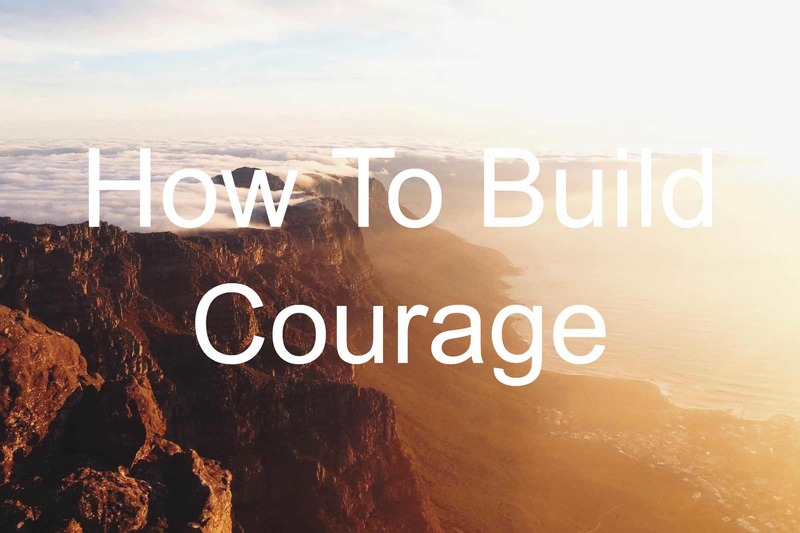 So, what does it take to build courage? In his book Rejection Proof, Jia Jiang did something I find amazing. He tried to get rejections for 100 days. That’s ONE HUNDRED DAYS of rejection. No after no after no. Could you imagine what this had to be like? The first day Jia was scared. He didn’t want to be rejected. Thoughts would flood his mind. What will people think? How will people react? Will I be able to overcome this? Through his rejection therapy project, Jia discovered courage. What once was crippling became freeing. He no longer feared rejection. He had the courage to face rejection and laugh in its face. When you practice being rejected, you soon learn rejection has to hold over you. You become courageous in the face of fear. Do something today to be rejected. See how it feels. Then repeat tomorrow. You’ll build courage through facing rejection. Did you know I love to ice climb? I do. I’ve even written leadership articles about ice climbing. Yet I go ice climbing. Ice climbing scares me and still ice climbing frees me. When I’m ice climbing, I have courage. I believe I will be safe even when I’m dangling from a climbing rope suspended 100 feet in the air. Doing the things that scare you and beating back the fear builds courage. You show yourself you don’t have to be ruled by your feelings. Feelings are ruled by you. Try doing something that scares you today. You’ll soon find yourself feeling courageous when you actually do the thing that scares you. You might not feel courageous because you don’t have a support group. A support group is a couple of friends, family members, or even strangers who will lift you up and cheer you on. These people will be there by your side. They will let you know you’re doing a good job and to keep going in the direction you’re going (as long as it’s a healthy direction). Finding a support group will also make you feel like you can take on more. The support of friends, family, and strangers will help you feel more courageous. Why? Because you have people who believe in you. They’re willing to stand next to you, even if you fall. Having a support group builds courage. Build a support group today. Question: What other ways do you know of to build courage? Share your strategy in the comment section below.